Removable and adjustable cable management clips keep your setup clean, organized and safe. The weighted round base keeps your stand securely in place. 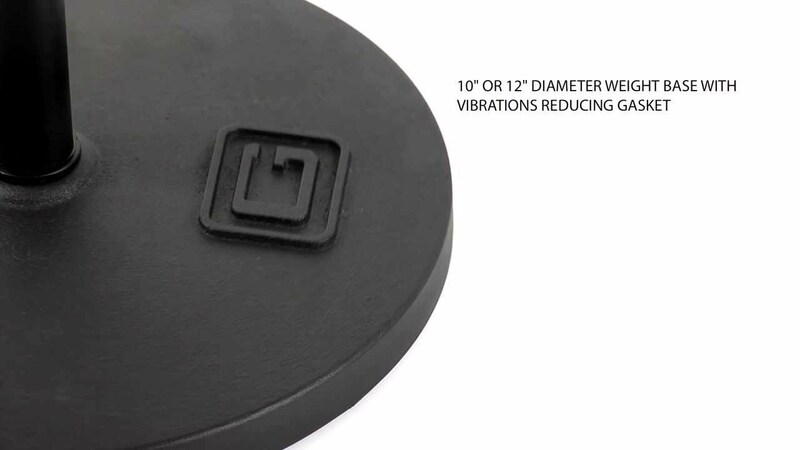 The bottom features a no-slip, rubber, noise reduction gasket to reduce unwanted vibration and footfall noise while protecting your flooring. The soft-touch, one-handed clutch allows you to easily adjust the height with a simple squeeze of the trigger. Setup and quickly make precise height adjustments, even if you are a one-man-show.